Travelstar™ 7K1000 is the industry's only seventh-generation 7200 RPM mobile hard drive and ideally suited for notebook PC upgrades and portable, high-capacity personal storage products. 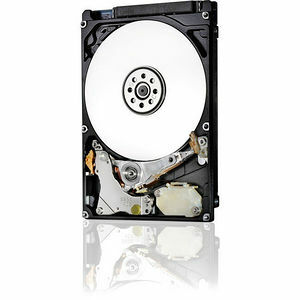 At 500GB/platter, this 2.5-inch hard drive offers up to 1TB of capacity and leverages Advanced Format, which increased the physical sector size from 512 bytes to 4,096 (4K) bytes to improve drive capacities and error correction capabilities. The Travelstar 7K1000 is the industry's first high-performance 1TB 2.5-inch HDD with a 6Gb/s SATA interface and delivers the highest mobile HDD performance in PCMark© Vantage benchmark testing.